You are at:Home»Science & Technology»Did ancient Romans whale the Mediterranean? Did ancient Romans whale the Mediterranean? Ancient Roman hunters may have precipitated the disappearance of grey and right whales from the Mediterranean, a study said Wednesday, suggesting commercial whaling is much older than we thought. Bones belonging to the two species were uncovered around the Strait of Gibraltar south of Spain, where they were never thought to have existed at all, a research team reported. The finding suggests right and grey whales were “common” in the North Atlantic 2,000 years ago, likely navigating the strait to calve in the temperate Mediterranean Sea. “The evidence that these two… species were present along the shores of the Roman Empire raises the hypothesis that they may have formed the basis of a forgotten whaling industry,” researchers wrote in the journal Proceedings of the Royal Society B. The Basques of northern Spain and southwestern France who lived about 1,000 years ago, are widely considered as being the first large-scale whalers. But the latest discovery of bones, identified as belonging to right and grey whales through DNA analysis, appear to challenge that timeline. The bones were found among the remains of ancient Roman fish salting plants. “The Romans may have hunted these two species in the same way the Basques did about 1,000 years later, by approaching the whales (which tend to keep to the coast) with small row boats, harpooning them, then finishing them off with spears and hauling them to land,” study co-author Ana Rodrigues of France’s CNRS research institute told AFP. Right whales were wiped out in eastern half of the North Atlantic by commercial whaling, the researchers said, while grey whales disappeared from the entire North Atlantic in “still-mysterious circumstances”. Today, there are only about 500 North Atlantic right whales left — in the western part near the American coast — less than six percent of the estimated original population. 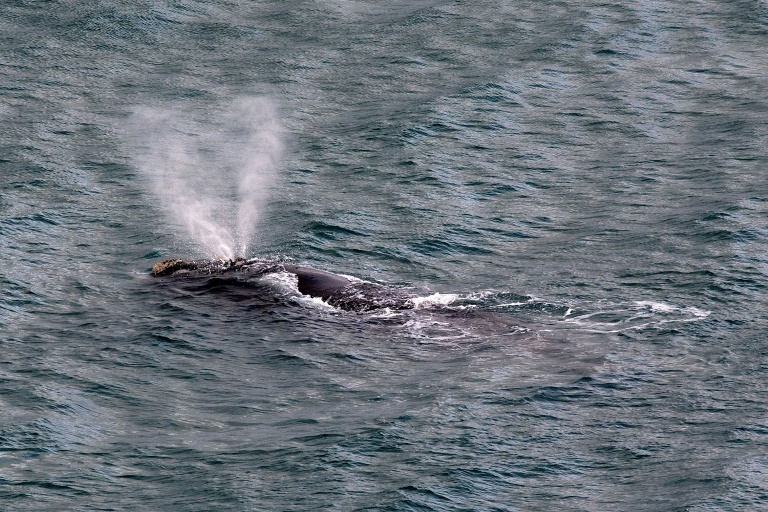 The grey whale is found only in the North Pacific where it, too, was heavily whaled. Although the findings do not prove the existence of a Roman whaling industry, such an interpretation would explain an earlier finding that the Atlantic grey whale population had already declined substantially before the onset of Basque whaling, they said.